I suppose that Holland is the country that I’ve visited most over the years. But almost all of those visits have been to the predominantly rural province of Overijssel, to the East. Even the people of Overijssel refer to their country as “Holland”, even though, strictly-speaking, Holland is just another province of the Netherlands, the one that faces the sea. No Scot would say he was English, though. But, Schiphol airport aside, I haven’t been to Amsterdam since I was about ten years old. I remember it from then as being very clean and very quiet, and also I recall seeing policemen with guns, which was quite scary. One of these things I remembered correctly. I’m still not entirely sure what this blog is for. A vehicle for ideas or verbal diarrhoea – is it for other people or just myself? Or a combination? Should I post personal data, or attempt some measure of objectivity? It’s virtually impossible for me to make any posts at this time of year, as my wife is on the long teachers’ holiday and she has this strange idea that blogging, and things associated with computers in general, is the work of the devil, and therefore a more productive use can be found for my time, such as hedge-cutting. And we’ve been on holiday. And just for that reason I’m going to bore my handful of readers with a few holiday snaps. Thailand was an experience, to be sure, although it would have been better, perhaps, if they didn’t make such an effort to conform to the expectations of their Western (and increasingly, Chinese) visitors. Having said that, it was immensely enjoyable. I thought I’d post a few images. While I’m obviously not impressed by religion itself, some of the Buddhist temples are at least as awesome as any Catholic cathedral. 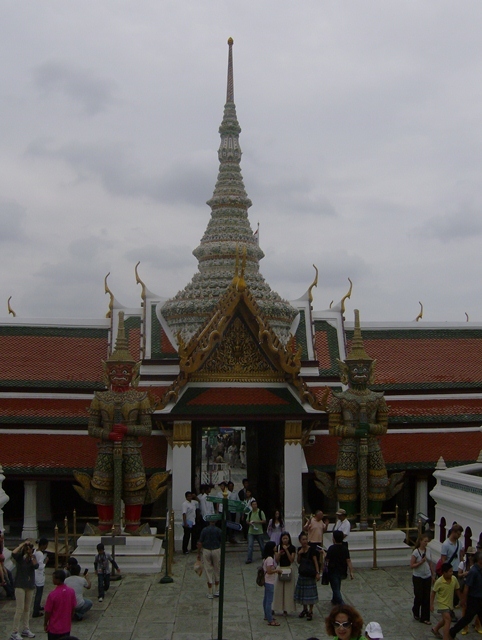 The sheer scale of the main temple complex in Bangkok could not be captured without actually going there. 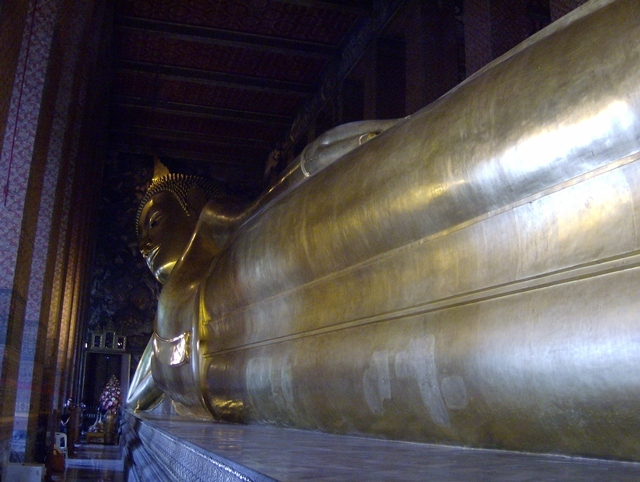 This is the Reclining Buddha of the Wat Pho complex. It must be forty metres long. It’s impossible not to be impressed with the workmanship on offer. 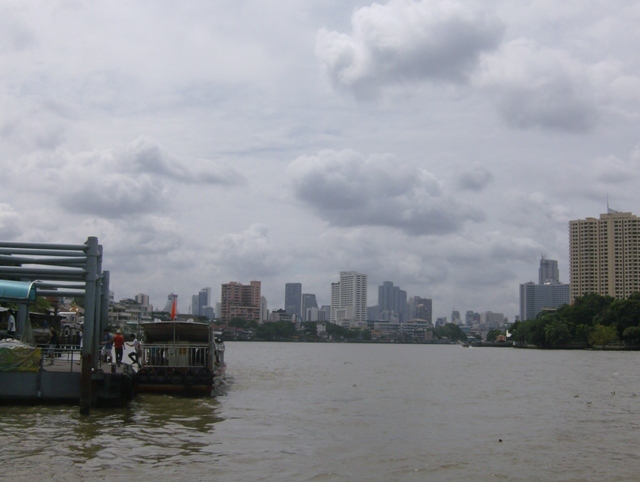 The view from the river opposite the Grand Palace shows what an exciting mixture Bangkok is. It’s full of skyscrapers, yet at street level no space available for trading is unoccupied. 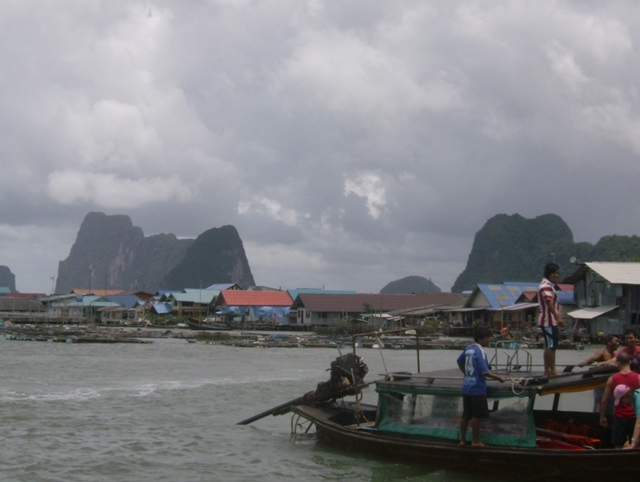 Off to Phang Nga Bay, which is the site of some of the most arresting scenery I’ve ever seen. 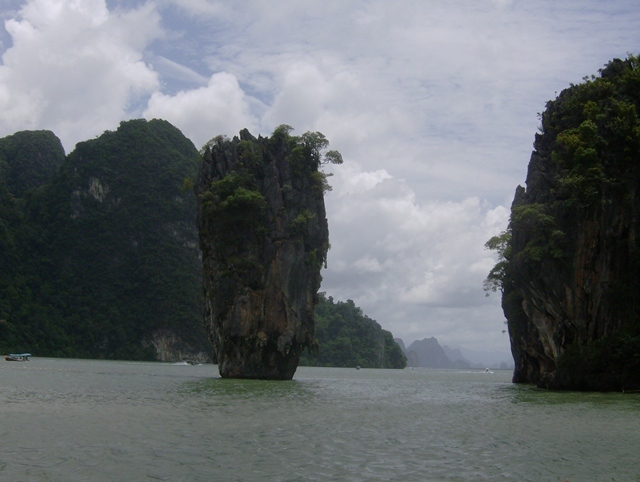 This is the famous “James Bond Island” which is overrun with tourists – a suppose a price we have to pay, although there are countless equally spectacular views. It is a testament to human ingenuity that people can thrive living entirely above water. This picture is also unusual in that the men were not wearing Manchester United shirts. Of course it wouldn’t be a proper holiday without at least some relaxation. 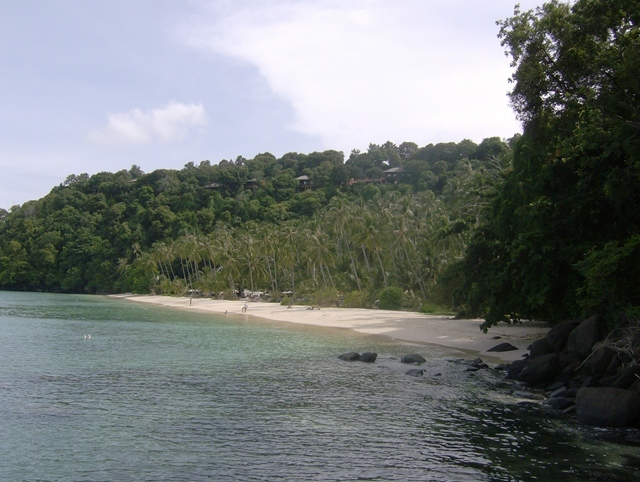 This was our hotel beach at Cape Panwa, Phuket, and it was this peaceful. This is not a picture I took. 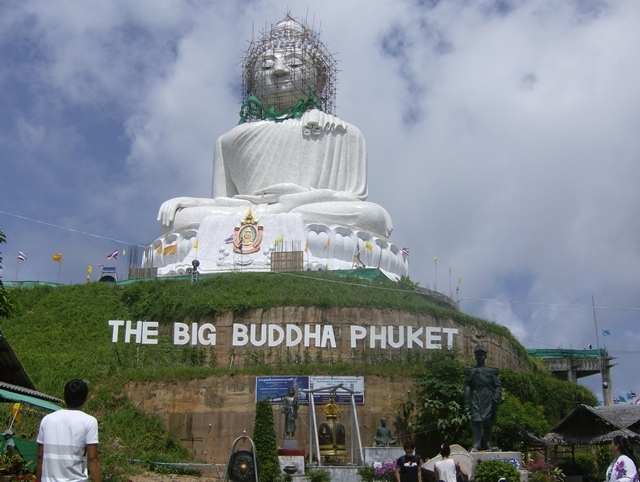 Phuket is famous for certain things which although are restricted to a small area, have to be seen to be believed. We didn’t participate fully, I hasten to add. The two people in the picture above are men – I thought they would be harder to spot but as they’re all about two metres tall it’s quite easy. It’s a shame that Phuket’s most iconic man-made landmark is still a work in progress. Nonetheless, well worth a visit. I’d love to go back, with the benefit of experience, and I’d also recommend Thailand to anyone who hasn’t been there. Still, there’s so much in the world I haven’t seen that I’ll just have to savour the memories. I’ve just got back from Paris, and once again I have to say that there’s just no place like it. 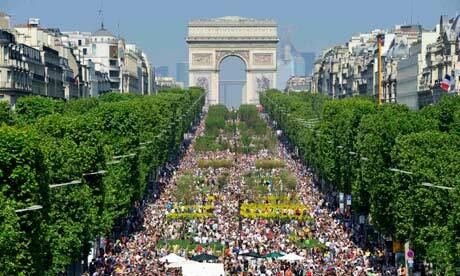 The occasion was my son’s participation in the annual Marathon de Paris and again he did himself proud. But one shouldn’t need an excuse to visit Paris. My brother once told me that the thing that appealed about Manhattan was that every building told a story, and that’s true enough, but in Paris this is even more true. I don’t think anywhere makes city life more appealing. This year we finally took a trip on a bateau mouche, and also spent more time in the Latin Quarter, between the Boulevards St Michel and St Germain – a location scandalously neglected from previous visits. The area is virtually all restaurants and bars, serving anything at any price. And all within a 30-minute metro ride of anywhere in the city. There are no dull areas in Paris. 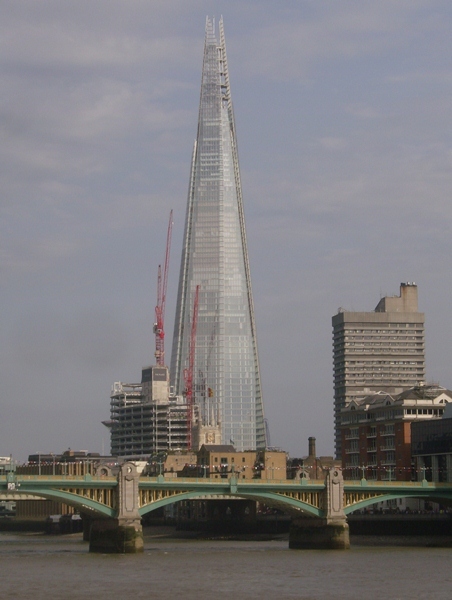 The next little trip is to our own fair capital city of London, because those nice people at Tesco have given us some vouchers for the Marriott just out of town. I hope that Marriott Hotels realise that consorting with Tesco maybe isn’t in their best interests, but not until after we’ve checked out. I’m still hoping that I can get to the third great western metropolis, New York, before the summer ends. I suppose I should consider myself quite widely-travelled, but actually both of my sons, and my parents, have moved around the globe to a much greater extent. I’m undecided what to do for summer vacation this year, favouring a trip to the Bible Belt, but also the southern French-Italian border, Thailand and Barbados – again – are possibilities. I should also try to explore some areas of this great continent of Europe. Incredibly, I’ve never set foot on Irish soil, and also, to my great regret, I’ve never been anywhere in Scandinavia. A couple of years ago I almost booked a weekend in København. I had to back out when I found out that my wife had other plans for that time. But should I ever venture to Scandinavia, Denmark is where I would go. København is full of attractions, and most of the well-known ones are free. But also, we in the UK so often hear that the Scandinavian countries are model societies that both respect and protect the rights of individuals to a degree that we wouldn’t be entirely familiar with. There are a couple of minus points. The large brewer Carlsberg was associated with Liverpool Football Club for many years, and for this reason any discerning Danish drinker will prefer Tuborg, notwithstanding that Carlsberg actually owns Tuborg. And also, although Danish football has for many years punched above its weight, (as Denmark itself has), the Danish footballers that played for Everton have been far from successful – the thought of Claus Thomsen in a royal blue shirt still induces nightmares. 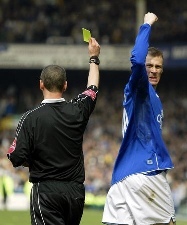 But this doesn’t negate the wonderful memories of players such as Schmiechel, Tomasson, Olsen and Michael Laudrup. København is a compact, yet fascinating, city. The well-known areas of Nyhavn and Cristiana, the Tivoli, the museums and the food add up to a place that I must see. Maybe next year. But there is one reason above all to visit København. A new word has entered the English language – Forbrydelsen. The original story was compelling, full of twists and turns, and although I guessed the identity of the murderer from the outset, it was for the wrong reason. I’d also like to know, firstly, do Danish people ever switch lights on in the evening or do they just carry torches, and secondly, where can I buy my wife the indestructible Sarah Lund jumper for less than 250 euros?